I was lucky enough to be able to attend this years DrupalCamp Colorado due to the support by the Collaborative for Educational Services (http://www.collaborative.org) where I am also a full-time web developer. The day started off with a huge turnout of fellow Drupal enthusiasts. This was my first Drupal conference, and I was immediately amazed by the positive attitude and friendliness of the crew and the attendees. The amount of talent here is staggering. Drupal has been around since 2001 (technically) and is now working on releasing it’s 8th major version, but seeing what these fellow developers have both contributed to the Drupal community and to their clients, is absolutely amazing. Lingotek, one of the sponsors, demonstrated their amazing translating module, utilizing a 3rd party server called TMS. Matt Smith, the Director of Integrations and Principal Engineer, talked about their module’s ability to instantly translate content on the fly as well as the ability to translate module URI strings and UI elements, creating a fully translated website. During the welcoming session, I was beaten out as the farthest traveler to the camp by someone in the central region in Mass. Some of the largest websites in the world are using or switching to Drupal. Weather.com is in the process of changing over to Drupal 7. Sport Illustrated, also running on D7, received the highest traffic they’ve ever had when they published an article about Lebron’s return to his former team. And major events such as March Madness, streams the entire event on a hosted Drupal site. And lastly, the Grammy Awards, which happens once a year, are also streaming the entire event on a Drupal website. Michael also talked about the importance of contributing a project to the community and how that can increase your chances of receiving faster and better support, give you the ability to learn more about best practices, share skills, and how your contribution helps create and may have made important projects possible and successful. He then gave an interested comparison to demonstrate this using 2 company types. The first was a DIY (Do it Yourself) corporation that started working on a project but did it in a private repo with custom code. The problem with this is there is little to no outside support in case something goes wrong and recruiting new employees is harder as there is little room for growth in a private project setting and harder to find and identify someone with the right talent. The second company however was Collab Inc, who before starting their new project, they reached out to community to see if a solution was already available. If there wasn’t, they immediately created a Drupal project/sandbox that allowed the Drupal community to use and provide insight, documentation, ideas, and also help fix any issues with patches. 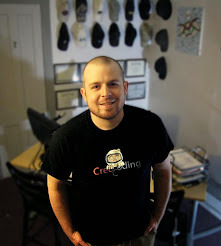 Collab Inc began to build a reputation for themselves by attending meetups, local events, and with their contributed projects and collaborative support. This made it much easier to look for additional employees as the potential for growth with further contributed projects is much more attractive to other developers. It is also easier to identify potential candidates by looking at their Drupal profile. The Drupal profile allows a transparent insight into a members reputation and experience - based on contributions, commits, documentation, member length. Michael Meyers finished his talk by talking about the community strength of Drupal and how opposing companies like Sony BMG and Warner Music Group were able to help each other out during the creation of the Five Star module - pointing out that the companies are not competing on technology instead are competing on business goals.